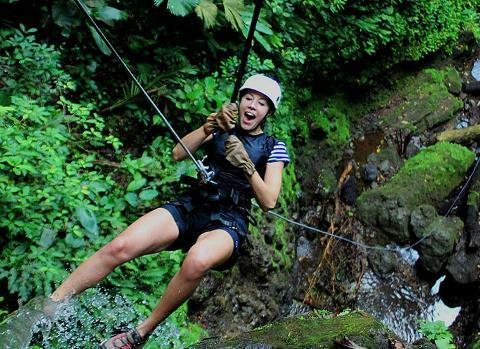 Our Lost Canyon Adventures Canyoneering is an experience of a lifetime! Go where very few have had the privilege to roam! 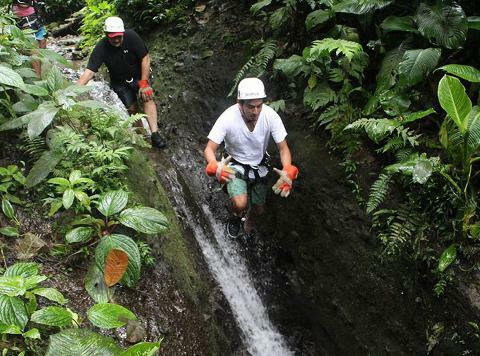 Imagine yourself in the midst of thick rainforest at the top of a magical canyon full of tropical waterfalls with surprises each step of the way. You’ve probably heard about Costa Rica’s famous bumpy backroads – start off by doing a fun 4×4 off-road adventure on our “Jungle Limos” as you head about 15 minutes into a quiet mountainside community. Your guides will give you a thorough safety talk about important rappelling & down-climbing techniques. You’ll get high-quality technical climbing gear such as a harness, helmet, gloves & you’ll get to practice your first descent on a small, 150-ft waterfall. There you are, on a sturdy platform looking down into the depths of a 150-ft massive tropical waterfall. You’ll rappel down for the thrill of a lifetime! 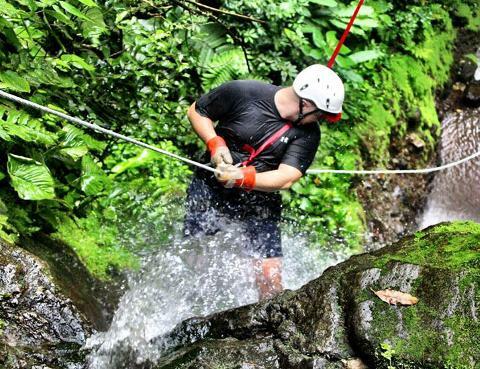 Make your way along the river by down-climbing & rappelling a series of 6 waterfalls that get gradually bigger &… BIGGER! We save the BEST for last! 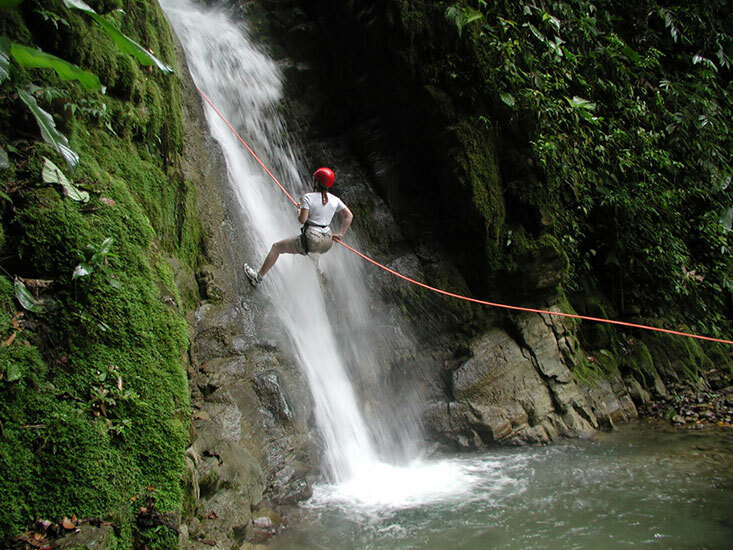 The biggest & most-exciting waterfall is your last descent… you’ll finish with a fun 200ft-guided-rappel!! The hike back up takes about 10 minutes, but take your time to enjoy the intense rainforest that surrounds you! At the top, you’ll arrive to our Canyon Cafe where you can change into your dry clothes and then sit down to your best meal in Costa Rica! 7:30am, 10am, 1pm (varies according to hotel location.) 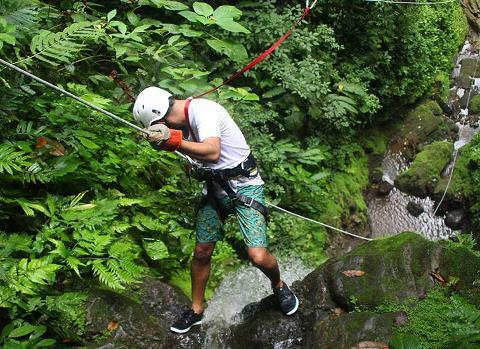 This tour also departs from San Jose hotels as part of our Adventure Connection shared shuttle service and meets up with the other adventurers from the Arenal Volcano area. Transport to/from your hotel, fun & professional guides who love what they do, tropical fruit break, delicious home-cooked meal, towel & lots of adventure. What to bring: Clothes to get wet in, change of clothes, secure shoes and a big smile.